Fish Creek Village S.C. is located at 380 Canyon Meadows Drive S.E., 1 block east of Macleod Tr. S. 3109 sq.ft. available on the 2nd floor. The professional offices have elevator service with a separate at-grade entrance. Great building signage opportunities + pylon signs. Fish Creek Village is a well established retail plaza made up of three separate buildings and features an extensive range of goods and services. This centre serves a primary trade area that includes Lake Bonavista; a high-end residential community with excellent demographics. 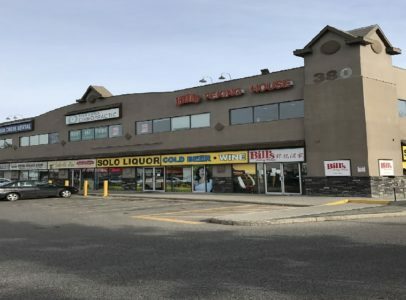 This property has an abundance of parking and is easily accessed from all sides and is directly opposite Fish Creek Park.